"Happiness often sneaks in through a door you didn't know you left open." Howdy and welcome to this week's My Week In Words. Another week of shopping, ice hockey and work on my new toy box blog! It was a good week on the most part and although Saturday was a tough day it ended on a good note. 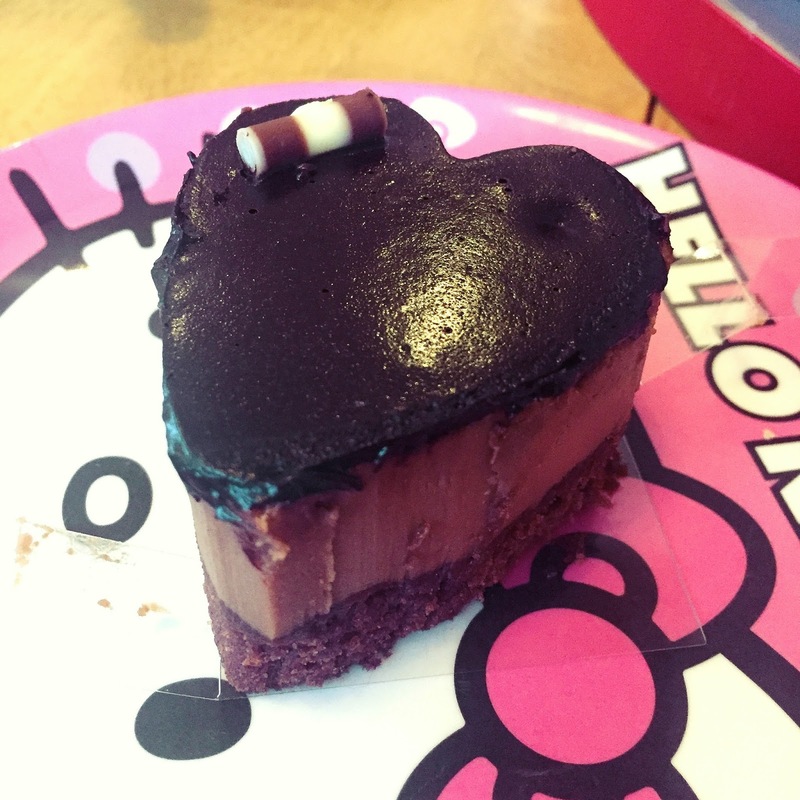 This post covers from Sunday 14th to Saturday 20th of February. Enjoy! For once I didn't wake up to a fry up on Friday. I ate my leftover steak from our Valentine's dinner the night before. I chilled with my dad while I ate then went into my room to tidy my desk to take some blog photos. I chilled online for a bit before starting work on My Week In Words while watching NHL games. Effy heard I was about to be productive so naturally she had to put a stop to it. I'm slowly making my way through a backlog of full game replays since they did away with the condensed games. Eva was at work and rather than my dad going to collect her as usual my aunt Karen brought her home on her way round to visit. My dad had made us our Valentine's meal deal for Eva coming home and we ate while we chatted and caught up with my aunt. To be honest I didn't eat much. I kind of wish I had saved my money. Though the dessert was real good. Definitely my favourite part of the meal. I didn't really get much work done the rest of the evening. Instead I spent the evening chilling with Eva. We had kind of agreed we'd chill together on Valentine's day because we are bae'less so I took a break from my blog. My mum got me up on Monday and made me breakfast. I watched YouTube videos while I ate before moving into my room to work on My Week In Words. I hadn't long started when my dad came home from a hospital appointment my aunt had taken him to. He had to get dye in his eyes and therefore couldn't drive for two hours after. My dad had half expected me to still be in bed when he got home, much like I am when he comes home from golf on a Saturday. He'd dropped into the bakery on the way home and gotten sausage rolls and cream buns for him, my aunt and I. It wasn't long after I'd eaten my breakfast so I opted out of the sausage roll and shared a cream bun with my aunt Karen. Was a nice little impromptu lunch together. She was off work because she's a teacher and they were having a break last week. After that I spent a lot of the day chilling online, chatting and working slowly - extremely slowly - on My Week In Words while watching ice hockey. I took a break to join in on The Girl Gang chat, which was super fun. I mean what's not to love about a chat based on a zombie apocalypse? I also hit 800 followers on Twitter on Monday, so that was pretty immense. I can't believe that many people follow me. It's all a bit surreal to say the least. Anyway, later on I ended up working on my toy blog rather than My Week In Words and as such I didn't get it finished before I headed to bed. It was a pretty early start on Tuesday as Eva and I had our bank appointment to make our joint account. The weather wasn't great and it was cold, but we did get ready and make the walk into town for the 10am appointment. It went well and we were able to get the account - which will be used for our house hold bills when my parents move out - sorted. Though we had brought the wrong proof of address which almost messed it up. Thankfully we're both on the electoral roll. After the appointment we went to have a look see in some of the toy stores in town. The range of toys on offer was a little disappointing. I didn't end up buying much. 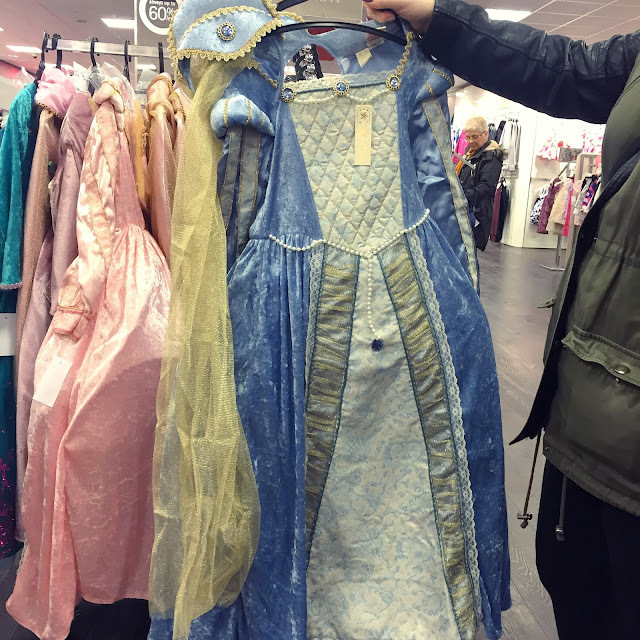 We did see these lovely dresses in TKMaxx. I took the opportunity to take a photo and send it to my friend, suggesting perhaps it would an option for the Belfast Giants Awards coming up next month. What do you think? On the way home we stopped into one of my favourite places to buy sandwiches but rather than just buying my favourite sandwich I ended up almost clearing out the shop! Eva and I got a sandwich each, some pasta salad, a pie, something sweet for us each, a custard for my dad and a scone for my mum. I really shouldn't be let out when I'm hungry to be honest. I was looking forward to tucking in when I got home but I had a bit of a wait when we had to hide out in my sister's room while a dude had a look at our boiler. Finally I got to eat my sandwich and it was heaven. After lunch I finished My Week In Words and got it posted. You can check it out here if you missed it. By the time I got that done it was time for dinner. We hate the pie we'd bought. I didn't feel very well in the evening as I had female related stomach cramps so Eva and I got into my bed and watched Degrassi the rest of the night. It was a Belfast Giants game night but after the early start and because Eva had been so busy lately we decided to give it a miss. I was worried I'd regret it but with how my stomach felt I was glad. When Dad got me up on Wednesday I ate my breakfast and watched videos on my Phone. \My dad was off again for another doctor's appointment. After I ate I worked on my post for Thursday, which didn't take long so I got it scheduled relatively early in the day. I didn't feel well at all with a headache and cramps and was thinking of just heading back to bed for the rest of the day. I wasn't really good for much else. However, I did stay up a while longer and did some work on the Twitter banner for my toy box blog. I didn't get it finished but I made good headway. While I worked on it my mum took Edwin for a walk for the first time. I mean the first time she's walked him, not his first walk ever obviously. 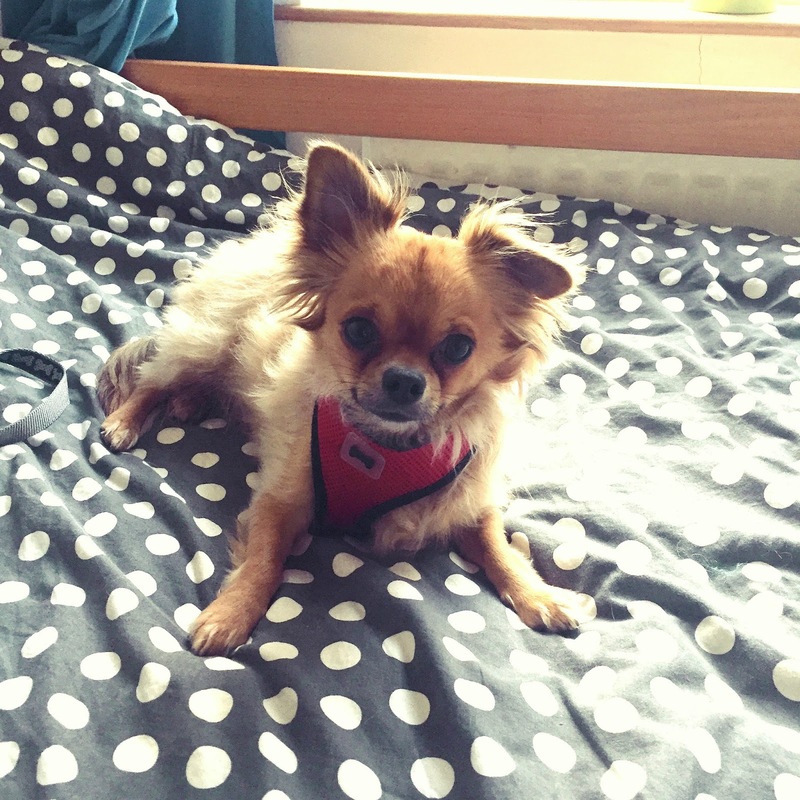 All handsome in his harness! I was like a nervous mother as the last time he went for a walk he had bad experience with another dog trying to get him and he's scared enough of other dogs. But he and my mum got along fine and he really enjoyed the walk and he didn't constantly bark like he has in the past. So I'm looking forward to getting him out more. When my mum came back I finally got back into bed. I spent a couple of hours there just reading and resting. I got up again when Eva came home from work and ate dinner with her. We spent the rest of the evening chilling together. Another cool thing that happened on Wednesday was that my dad got a new car. Up until now he's just used my Motobility car as he's my designated driver but since he and my mum will be getting their own place they needed their own car. It's odd having a second car and the fact mine is now at the house so much more but I think it's also a good thing. It makes my car feel more mine. I'm yet to take a spin in my dad's car but I'm looking forward to it! Eva was off on Thursday so she got me up for breakfast and we watched Good Mythical Morning while we ate. Eva's dog, Berty, had an appointment to have his hair done at 4pm so I had to shower before we headed over. There was a bit of a fiasco as my aunt Karen had offered to take us over so my dad didn't think he had to but then she said she might not make it in time. I called my dad and he said he also wouldn't be able to make it in time. Being on my period I was not emotionally stable enough to deal with it but luckily Eva was able to negotiate with my aunt Karen to take us and she was able to make it. She picked us up around 3:40pm and we headed to Pets At Home with Berty. We left him off and thankfully he didn't make too much of a fuss considering he dislikes strangers. 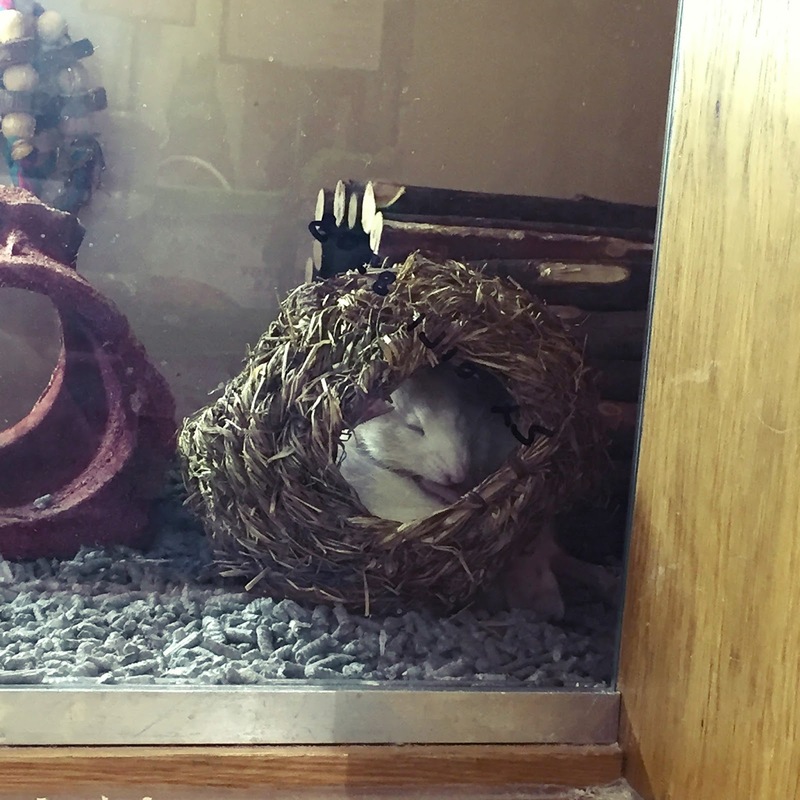 When I got to the pet store I went to check if my babies from last week were still there. I found the bunny I loved having a munch. Every time I see them I want them more! It's definitely going to be mixed emotions when I go and it's found a home. I was also bummed out to find the pair of rats were still in the adoption part. They are just too cute. I wish I had more space and time for more pets or I would have snapped them up. Once we left Berty off we hit Smyths as usual and I was hoping to take advantage of the clearance for my toy box blog. Naturally I ended up buying a few things but none of them were on clearance. Always the way, huh? At almost 25 I finally got my own house key when my aunt Karen gave Eva the idea to get two more cut as we only have one front door key that we all share. Don't ask me why. Once we got the keys cut we headed to the food court and got Burger King and chilled and chatted for a bit while we ate. Eva had forgotten to take the back door key out so my dad could get in so he had to come meet us to get our shared front door key. That's what had prompted my aunt to suggest we get more cut. My dad finished off my burger and we then all headed to look in more stores and also went to say hi to my mum who was working in Tesco. Soon it was time to go pick up Berty. 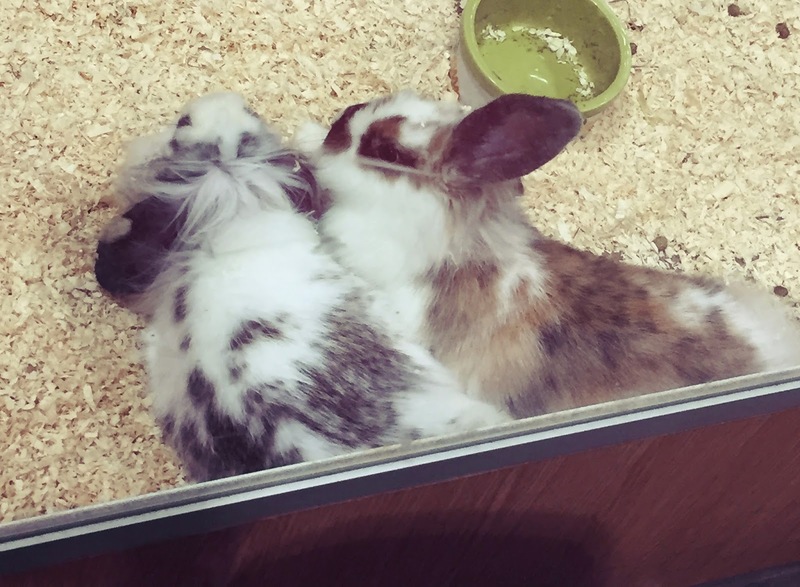 When we went back to Pets At Home I checked on my bunny and found it all cuddled up with a friend. How adorable is that? I just wanted to scoop em both up and cuddle them. Though I doubt they would have enjoyed that. Berty did really well getting groomed. He was a little more wary of the groomers than Edwin but he only growled a little bit when they were taking him out of the crate and was fine when they were actually grooming him. We then headed home and I chilled with Eva and had a cup of tea and had some of the Auntie Annie's pretzel sticks we'd bought. Gosh, they are so yum. After that I tidied my desk and watched some NHL while working on My Week In Words notes. I was pretty tuckered out from being out and it wasn't long before I was having supper and heading to bed. On Thursday I also posted a blog introducing Moe my marimo. If you missed it you can check it out here. On Friday Eva got me up before work and treated me to pancakes and bacon. She also helped me get dressed for the ice hockey game later that evening as my parents had both already left for work. Around 2pm Eva also left for work and I moved into my room and attempted to get productive. It took a while to actually start but once I did I got Saturday's post written and scheduled pretty quick. I had a call from my dad while I was writing to let me know my granda had taken sick again and he wasn't sure what was going to happen about the game as my aunt Karen was supposed to be taking me but she was going to see my granda. I didn't think I'd be going but I did my make up nonetheless. My dad came home around 5pm and said he was taking me and my aunt Karen was staying with my granda. On the way to the game my aunt called and said that granda had brightened up a little. I think that helped my dad relax. The game was a sell out. Something that doesn't happen very often. It was cool seeing such a crowd but our row was packed in like sardines at the beginning. However for some reason the people who usually sit beside us either moved or left, which gave my dad and I more space. The game got off to a bit of a slow start and I though we were going to be hit hard but we pulled it off in the second and third and came away with a great win. During the period breaks I had two people come say hi. In the first a friend, Gary, from Twitter came to say hi. He always does when we're both at games. Then a new friend Myles came to say hi in the second break. It was my first time meeting him in person and to be honest having two people come say hi and not be completely shaking with anxiety was also a personal win. I've come a long way. I had a great chat with both of them. 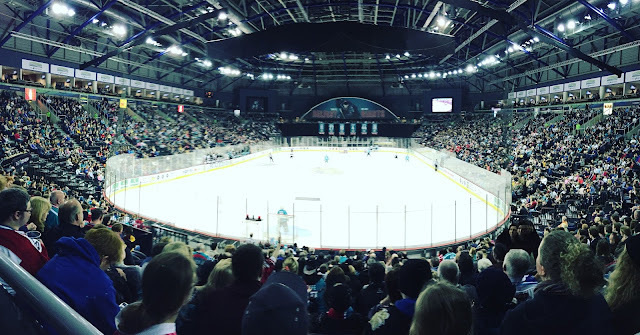 The Belfast Giants Awards were also finally announced and I picked up my tickets at the game. I cannot wait for it. If you want to read about last year's you can check it out here. My dad and I left five minutes early to beat the crowds leaving. I spent the whole game in my spot as I didn't want to try and battle my way through everybody. When I got home my dad made me some food and I chilled for a bit before I finished off Saturday's post and got it scheduled. Eva came home around 11:30pm and I chilled with her for a little while and told her about the game before bed. On Saturday I posted a blog about my favourite crazy people songs. You can check it out here. My dad got me up for my fry as usual and as usual I watched some YouTube videos while I ate. Saturday wasn't a great day. I had thought my period had finished but it came back and it hit badly. I felt sore and also woozy and my emotions were also all over the place. I had things on my mind that I usually try not to think about, rightly or wrongly. Throughout the day I just tried my best to distract myself from everything while not really having the energy to do anything. I slowly worked on my introductory post to my toy box blog and later on while I did that I watched a live Pittsburgh Penguins game. I don't get to watch live games often because of the time difference, so that was good despite the fact they lost. I also followed a Belfast Giants away game on Twitter and thankfully they fared better, though it was touch and go. 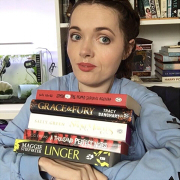 I eventually got my introduction post scheduled for Sunday morning and I was super excited to start posting on my new blog. I'm even more excited to start actually writing toy related posts this week. When Eva came home in the evening we had a bit of a talk about how I was feeling and that really helped. I'd also talked to a friend about it and that helped too, so I felt quite a bit better. When I got into bed Eva got in beside me for a bit and we just talked rubbish and played Hay Day, something we've both been addicted to recently. I love videoing Eva when she's playing because she's just ridiculous. If you follow me on Snap Chat - BloonStuff - you've probably seen. Around 3am Eva headed into her own bed and I went to the land of nod. Ugh! 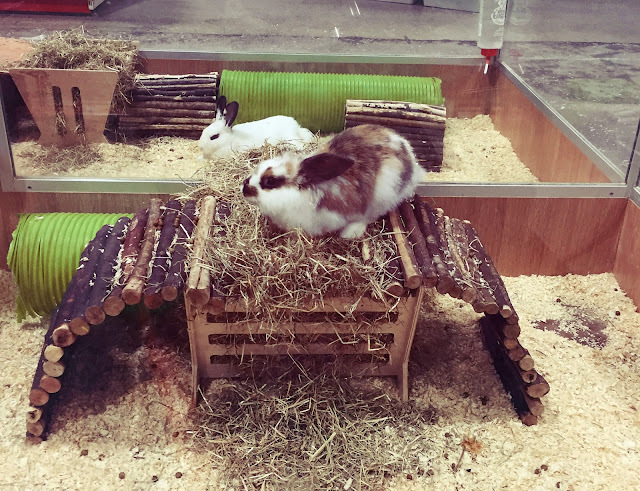 Those bunnies are too cute! Now I really want one :( So excited that your other blog is starting up - I always love the toys you share. Gosh, it breaks my heart every time I'm in and they're still there! Though I'll be sad when they're not anymore. Haha. Thank you!